When the temperature ticks into double figures and the trees in Tokyo start to turn pink it can only mean one thing…the cricket season is upon us! That’s right folks, One Short is back and ready to make a mess of our annual predictions once again; there has been heated debate in the Cave this year as the JCL hots up for what promises to be the most evenly contested and unpredictable season ever. So why is this one looking so hot? Well, no freebies this year. Gone are Paddy Foleys, relegated to Division Two after just two wins in the last three seasons, and gone too are 2017 Champions Sano, who managed just two wins in 2018…both against Paddys. 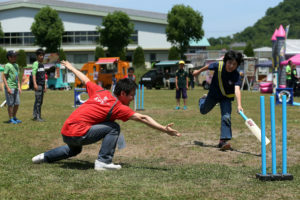 They are replaced by the fresh faces of Tokyo Falcons, who arrive as Champions of Division Two, and the Men in Blue, who Falcons edged in last years final. How these two teams fare in the thinner air of Division One will dictate much of how the final standings pan out. So it’s time for the One Short team to put our paltry reputation on the line and make bold predictions for the final league standings. Having managed just a single correct call in each of the last two seasons, don’t go racing to your local bookies based on what you might read here. The Tigers will be tired of the “One Man Team” allegations that have begun to follow them around. The brilliance of Saboarish Ravichandran last season looked set to take them all the way before they tripped over in the semi final and the reliance on him is borne out in the stats. While he topped the 2018 run charts and came third in the wicket-takers, Tigers had just one other batter in the top 30 (16th), and two other bowlers in the top 30 (16th & 29th). 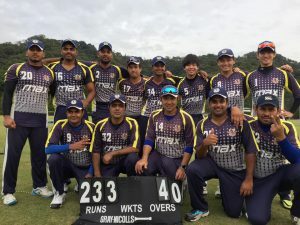 The smart recruiting of Kushal Kamat may help alleviate the burden, but the man from Kyushu may be about to discover that life in the big leagues is a little different. The statistical opposite of the Tigers, with no players in the top ten run scorers or wicket takers, yet four in the top 30 of each (only Nandha Rangasamy appears in both lists) they are a team that makes the best of what they have. A superstar signing could make them unstoppable, but it is possible they overachieved last season and may find the going harder this time around. Rumours abound about the availability of Devendra Dhaka for the season as well, which could hit them hard. The nearly boys of 2018, packed plenty of punch but against a MAX team in the mood they could not get over the line in the final. Had a winning run last year that suggests they are title contenders, that and six players in the top 30 run scorers and wicket takers. As their young players continue to mature they should be in contention yet again. On the downside, their mature players also are not getting any younger. Can the grand old man Bedingfield continue to prop up the batting? Will Clampa Johnson be available all season? 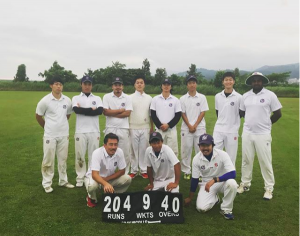 With Rui Matsumura and Tsuyoshi Takada they will bowl teams out, but runs remain key to their chances of success; if they can get Kendel Fleming out on the pitch, that would help considerably. Expect Max to do what they always do, stroll through the season looking fairly uninterested only to explode in the latter stages and win the title at a canter. 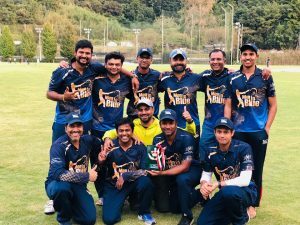 Their batting is frightening, and on any given day will destroy everything in its path, while the bowling was surprisingly effective in 2018 as their spinners wrought havoc on several batting line ups with Makoto Taniyama’s 21 wickets making him best bowler of 2018. Travel sickness when it comes to Fuji has been a regular issue for MAX in the past, but they have no fixture down there in 2019, and Rounds 1 & 2 will have them taking on each of the newly promoted sides. A strong start could see them coast through the rest of the year. 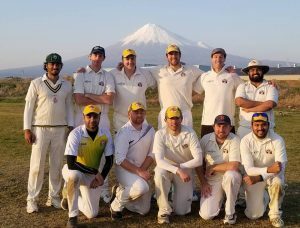 Talking of Fuji, the Wombats have been going to work on their home ground in the off season and with five matches down there they may well depend on that home advantage to bloody a few noses. It looks like a tough season for the Wommies however, dependent as they are on the batting of Alex Patmore and Richie Bracefield and the all round skills of Narendar Madhaven. An absence or loss of form for any of those three and you struggle to see where the wins might come from. What to make of Wyverns, top in 2017 only to slump to 6th in 2018. Will the usurping of Tomoki Ota as captain make a difference? 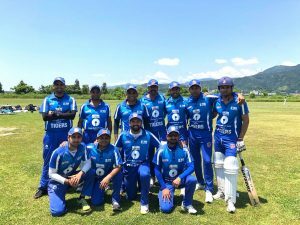 Raheel Kano takes over the reins and if that helps Ota rediscover form with the bat then Wyverns could challenge again. 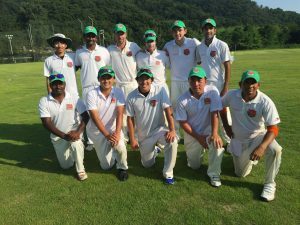 A side full of talent, their batsmen managed a top score of 66 between them, which does not win many matches. Big runs from players such as Bebe Miyaji, Wataru Miyauchi and Shogo Kimura, along with Kano and Ota could see them push for a Top Four position or higher, otherwise a season of struggle and looking over their shoulder may yet await. 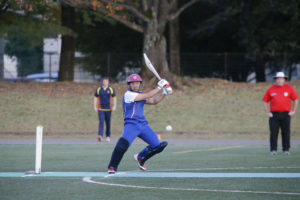 The Tokyo Falcons swept all before them in Division Two last season, winning every match they played. 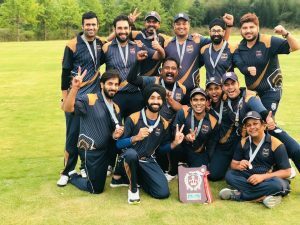 Built around the batting of Kuldeep Bisht (1 hundred and 4 fifties), and the bowling of Amrik Singh (18 wickets at 9.61) they look well equipped to join the top flight. It is always a big ask to step up however, and a Top Four place may just prove beyond them this time around, but they will have enough not to worry about relegation and may prove to be a lasting force in Division One. A team that blew hot and cold in 2018, when they’re on they can destroy teams, as a score of 426/8 against Paddy Foleys in Round Two last year demonstrated. 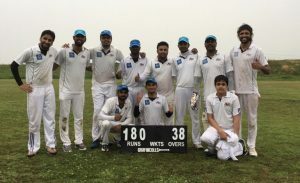 Their powerful batting is built on Abhishek Telang, the only player to score two JCL centuries last year, and well supported by Sarfraz Petkar and Amol Vaidya. 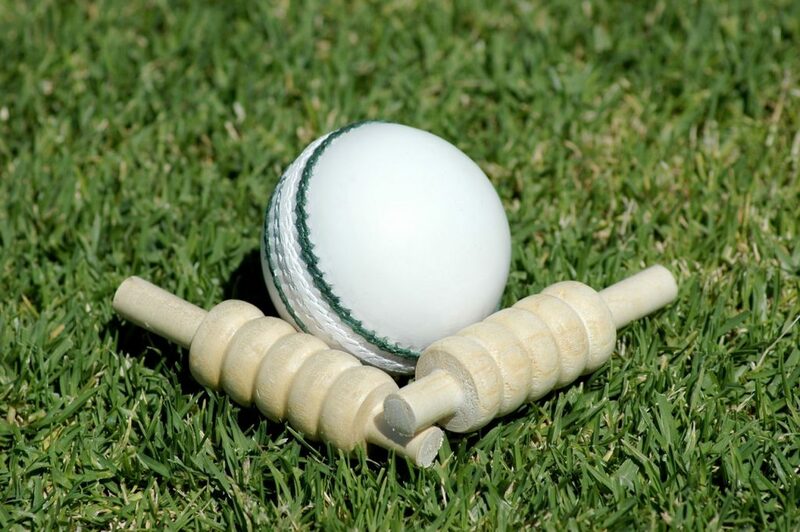 Their bowling may struggle against the superior batting line ups in Division One however, and while they should have enough to stay in the Division, the draw has them playing two matches each against Wyverns and Wombats, which are likely to be key to their survival chances.